Thank you to everyone who has written to their MP about the People’s Manifesto for Wildlife. If you haven’t got around to writing to your MP yet then do please give it a go – here is some information and advice. If you have already received a reply then your MP is quick off the mark – these replies often take months to arrive even though what you are getting is likely to be a standard letter. Thank you for your letter of [date]. I’m grateful to you for your reply although I have a number of comments on what you have sent me that I would like you to address please. Perhaps you might send this letter to Defra ministers for a more detailed response, please. Is your party still hoping to be the greenest government ever? I thought that this was a claim made by David Cameron in the first few days of the coalition government in 2010 and which had been dropped some time ago but I am glad that you are sticking with that promise. 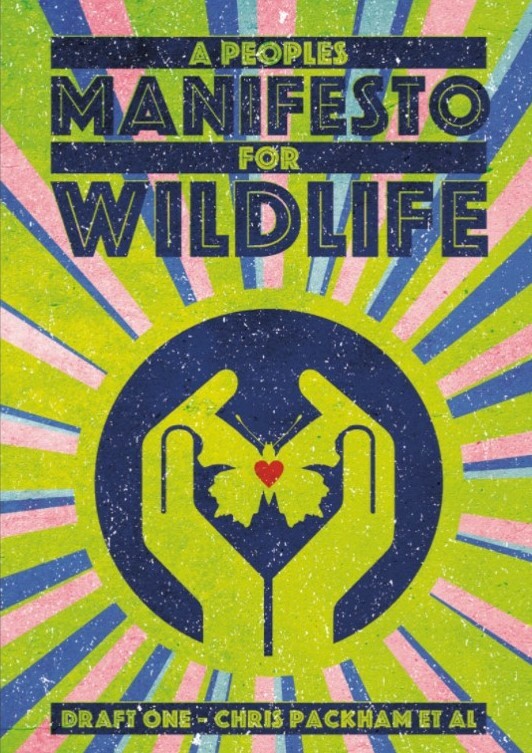 The People’s Manifesto for Wildlife contains many detailed policies, unlike the government’s 25-year plan (which I have always regarded as, to use your own words, ‘a provisional first draft’), that will help the UK achieve that position which is why I would like to hear a more detailed response to the document from Defra ministers please. The Government’s 25-Year Plan to improve the environment is a skeletal approach to environmental action rather than a plan. It needs an awful lot of flesh to be put on its rather bare bones and the People’s Manifesto for Wildlife is one contribution to that end from serious environmental experts and commentators which is why I would like to hear Defra’s more detailed response, please. There are many aspects of the People’s Manifesto for Wildlife which already reflect government policy but you don’t comment on that or welcome that in your letter. Just for example, the areas of public money for public goods and better management for marine fisheries are both addressed in the People’s Manifesto for Wildlife – I’m surprised that you did not welcome these aspects (and many others). You state that ministers will introduce an Environment Bill to establish ‘a world-leading body to hold government to account’ but environmental NGOs and commentators have more or less uniformly slammed the Government proposals for being feeble compared with the protection given under the current EU regulatory regime. This is another aspect covered in some detail in the People’s Manifesto for Wildlife. I am grateful for your response but I would like to hear more, please, from Defra ministers. At the moment, Michael Gove has not responded to the request for a meeting with Chris Packham and I would ask you to ask the Secretary of State for that meeting to take place as soon as their two busy diaries will allow. I understand that Sue Hayman MP, the Shadow Secretary of State, has promised to have such a meeting. Thank you again for your response and, to reiterate, I would like you to ask Michael Gove to arrange a meeting with Chris Packham and I would be very grateful for a more detailed Defra response to this document. PS 11 million trees is very few, the government has been very slow to establish marine protection zones, air quality in built up areas has led to the Government facing legal action and wildlife levels have tumbled over my lifetime. Are you promising that the protection from neonics will be as strong as that which would exist if we stay in the EU? There is urgent need for more effective government action and these matters will certainly be keenly examined at the next general election. After repeated email exchanges with my MP (or more likely his exec. asst.) I have now recieved a letter from Therese 'Roundup' Coffey through my MP's office. It's basically the exact same template response I had from my MP. I'll take your response and adapt it slightly. Oliver - thank you for persevering. If we all do that then the cost of not answering perfectly reasonable questions rises for Defra and the Government.